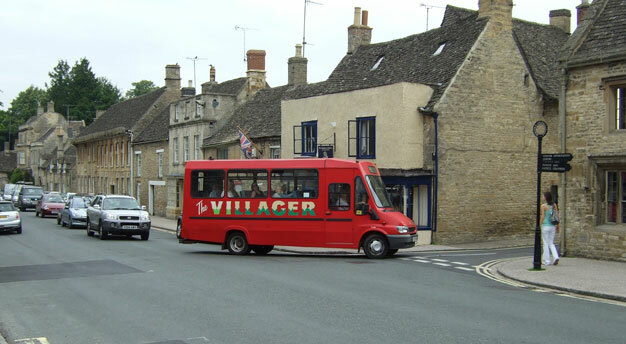 There are 60+ Community Transport (CT) schemes in Oxfordshire. Their 1,300 volunteers make 75,000+ single journeys each year, primarily taking older people to medical appointments and accessing other key services. Oxfordshire is ageing rapidly. The population of over 85’s is set to double between 2011 and 2020. Older people contribute hugely to their communities as active citizens, volunteers and carers. Inevitably, however, they need support as they age and become less able to live independently. Following reductions in bus subsidies, Dial a Ride and Patient Transport Services, there will be more demand for these volunteer services. If you would like to learn more about community transport and volunteer driving, please contact Emily Lewis-Edwards or call her on 01865 883488. We can point you towards the relevant community transport scheme. CFO maintains a Directory of Transport Schemes so please use this to find a scheme in your local area. You can also use the Age UK Community Information Network Directory to locate a scheme near you. Many people in Oxford needed their help – if you are older and unwell even a short bus journey to a hospital appointment is an unpleasant ordeal. Therefore, we are now recruiting more volunteer drivers based in Oxford, who can help residents in Oxford. If you would like to volunteer as a Red Arrow driver please contact Emily Lewis-Edwards. Community First Oxfordshire produces a Directory of Community Transport Schemes for Oxfordshire, containing contact details of car schemes and community minibuses across the county. It’s 2019, a new year, and it feels like we are facing unprecedented pressures in practically everything to do with modern life. But, despite this, there are still people who find the time to do good things in their communities, and community transport activities is just one of these good things. Schemes such as the new Freeland/Hanborough minibus scheme, the North Moreton volunteer car scheme, the pilot volunteer car shuttle scheme in Great Milton and Berinsfield volunteer car scheme, are all newly initiated services. New community transport schemes only start because there’s a local need – I don’t think there’s been a time when I’ve been out and about that I’ve heard someone, anyone, say that transport or access to transport options isn’t a problem (over and beyond their own car, if they have one). It is therefore, heartening to know that we have over 70 community transport schemes in the county, all offering very different and bespoke services, which compliment, rather than compete with, public transport options (if you have public transport options that is!). At CFO, we understand the time it takes to set up community transport schemes, and we continue to offer support and advice to new schemes while supporting existing schemes with networking opportunities, umbrella insurance, hospital parking permits, general advice and acting as the voice for transport and community transport issues locally and nationally. This year, we want to continue to support community transport, in particular we would like to support a community minibus hub, which can offer a space for resources and ideas to be pooled and experiences to be better shared.